“Brownie is our beagle, terrier and lots of other things mix that we got from the Humane Society 8 years ago. At the time they guessed him at 2 years (he had been a stray) which would make him 10 now but we're pretty sure he's a couple of years older than that. The last few years he has suffered from arthritis and it has progressed quite quickly. 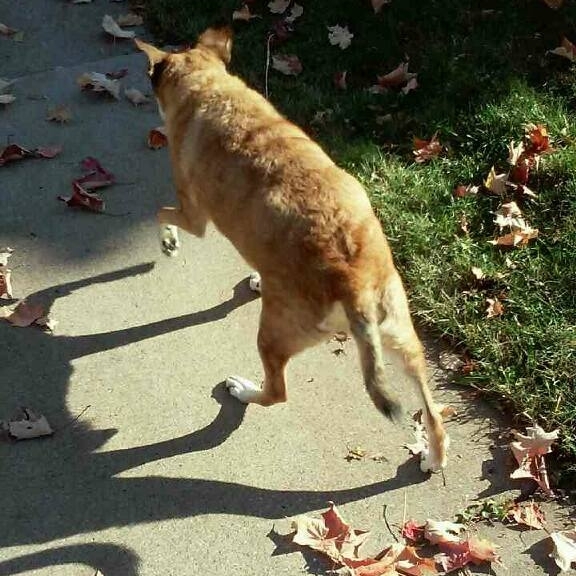 He went from a dog who loved to run (so fast he looked like he was flying) to hardly being able to walk to the end of the block and back, in a matter of a few years. I felt so bad for him because he loves to walk and sniff (and mark) and his body wouldn't let him do that anymore. What made it harder was that he still has an energetic personality.